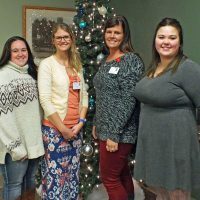 Now nearing 2,000 members, Spirit of Women at Allegan General Hospital empowers women and their families with health information, fun and informative events, and connections with other women in every phase of life. As part of a national network of Spirit of Women hospitals, Allegan General is part of a powerful movement to provide tools and information so that women can be as healthy as possible and more and more able to make healthier choices for their own lives and those of their families and loved ones. Through the Foundation, we are partners in the progress and the growth of Spirit of Women.